How can a living trust help me control my estate? Living trusts enable you to control the distribution of your estate, and certain trusts may enable you to reduce or avoid many of the taxes and fees that will be imposed upon your death. A trust is a legal arrangement under which one person, the trustee, controls property given by another person, the trustor, for the benefit of a third person, the beneficiary. When you establish a revocable living trust, you are allowed to be the trustor, the trustee, and the beneficiary of that trust. When you set up a living trust, you transfer ownership of all the assets you’d like to place in the trust from yourself to the trust. Legally, you no longer own any of the assets in your trust. Your trust now owns these assets. But, as the trustee, you maintain complete control. You can buy or sell as you see fit. You can even give assets away. Upon your death, assuming that you have transferred all your assets to the revocable trust, there isn’t anything to probate because the assets are held in the trust. Therefore, properly established living trusts completely avoid probate. If you use a living trust, your estate will be available to your heirs upon your death, without any of the delays or expensive court proceedings that accompany the probate process. There are some trust strategies that serve very specific estate needs. One of the most widely used is a living trust with an A-B trust provision. The purpose of an A-B trust arrangement (also called a "marital and bypass trust combination”) is to enable both spouses to use the applicable estate tax exemption upon their deaths, which shelters more assets from federal estate taxes. Before enactment of the 2010 Tax Relief Act and the higher federal estate tax exemption, some estate planning was involved to ensure that both spouses could take full advantage of their combined estate tax exemptions. The latest major piece of tax legislation is the Tax Cuts and Jobs Act, which was signed into law on December 22, 2017. This Act doubled the federal estate tax exclusion (indexed annually for inflation); in 2019 the federal estate tax exclusion is $11.4 million. In 2026, the exclusion is scheduled to revert to its pre-2018 level. Typically, it involved creation of an A-B trust arrangement. Now that portability is permanent, it’s possible for the executor of a deceased spouse’s estate to transfer any unused exemption to the surviving spouse without creating a trust. Even so, many states and the District of Columbia still have their own estate and/or inheritance taxes, many have exemptions or exclusions of less than the federal exemption amount, and only two (Hawaii and Maryland) have any portability provisions. By funding a bypass trust up to the state exemption amount, you could shelter the first spouse’s exemption amount from the state estate tax. Thus, A-B trusts may still be useful, not only to preserve the couple’s state estate tax exemptions but also to shelter appreciation of assets placed in the trust, protect the assets from creditors, and benefit children from a previous marriage. In most cases, however, when couples have combined estate assets of $22.8 million or less in 2019, they might be better off just leaving everything outright to each other. A living trust with an A-B trust provision can help ensure that a couple takes full advantage of the estate tax exemption for both spouses. When the first spouse dies, two separate trusts are created. An amount of estate assets up to the applicable exemption amount is placed in the B trust (or bypass trust). The balance is placed in the surviving spouse’s A trust (or marital trust), which qualifies for the estate tax marital deduction. This then creates two taxable entities, each of which is entitled to use the exemption. 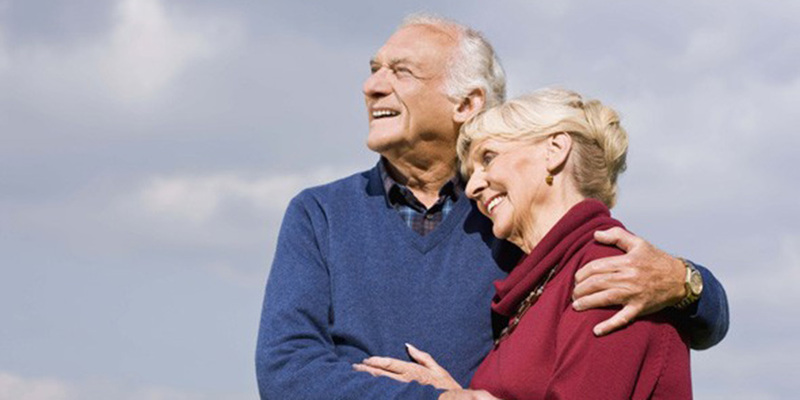 The B trust is included in the taxable estate when the first spouse dies. But because it doesn’t exceed the estate tax exempted amount, no estate taxes will actually be paid. The surviving spouse retains complete control of the assets in the A trust. He or she can also receive income from the B trust and can even withdraw principal when needed for health, education, support, or maintenance. Upon the death of the second spouse, only the A trust is subject to estate taxes because the B trust bypasses the second spouse's estate. If the assets in the A trust don’t exceed the applicable exemption amount, no estate taxes are owed. At this point, both trusts terminate and the assets are distributed to the beneficiaries, completely avoiding probate. While trusts offer numerous advantages, they incur up-front costs and ongoing administrative fees. The use of trusts involves a complex web of tax rules and regulations. You should consider the counsel of an experienced estate planning professional and your legal and tax advisors before implementing such strategies. This communication is strictly intended for individuals residing in the states of AK, AL, AR, AZ, CA, CO, CT, DC, DE, FL, GA, HI, IA, ID, IL, IN, KS, KY, LA, MA, MD, ME, MI, MN, MO, MS, MT, NC, ND, NE, NJ, NM, NV, NY, OH, OK, OR, PA, SC, SD, TN, TX, UT, VA, WA, WI, & WY. No offers may be made or accepted from any resident outside the specific states referenced. Not all advisors of Financial Dimensions Group, Inc. may be individually licensed in the states referenced above. *The noted advisors: Additional advisory services may be offered through Royal Alliance Associates, Inc., a Registered Investment Adviser not affiliated with Financial Dimensions Group, Inc.
A broker-dealer, investment advisor, BD agent, or IA representative may only transact business in a state if first registered, or is excluded or exempt from registration in that state as a broker/dealer, investment adviser, BD agent or IA registration requirments as appropriate. Follow-up, individualized responses to persons in a state by such a firm or individual that involve either effecting or attempting to effect transactions in securities, or the rendering of personalized investment advice for compensation, will not be made without first complying with appropriate registration requirements, or an applicable exemption or exclusion. For information concerning the licensing status or disciplinary history of a broker-dealer, investment adviser, BD agent, or IA representative, a consumer should contact his or her state securities law administrator.